Don K. Preston, D.Div. (President of Preterist Research Institute – PRI; Author) – Annual PPW Host and BBC Conference; 2012 Criswell College Event Speaker, 2011 KC Prophecy Conference; 2009 Omaha Preterist Conference; 2007 Carlsbad Eschatology Conference; and many more! William H. Bell Jr., M.Th. (All Things Fulfilled; Author) – Annual PPW; 2014 BBC Conference; 2011 KC Prophecy Conference; 2008 Carlsbad Eschatology Conference; and many more! William Bell is the founder and President of “All Things Fulfilled Ministries,” a non-profit organization designed to educate the world about Covenant Eschatology and New Covenant Fulfilled Theology, also known as Preterism. 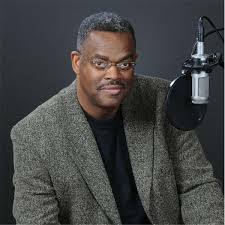 William is co-host with Dr. Don K. Preston, on the show “Two Guys and A Bible,” which can be heard every Tuesday on Fulfilled Radio. William is also the creator of “The Last Days DVD Series,” a 5 volume DVD set devoted to teaching people about a proper understanding of Biblical “End Times.” William has been studying Eschatology since 1977, and has spoken in many conferences, written many articles on the subject, and he has even authored a couple of books, including: Have You Spoken in Tongues?, When Was the Law of Moses Fulfilled?, and Zionism – The Wolf in Judaism’s Clothing. He also continues to present video lessons on the subject through the social media network “YouTube.” You can catch more of William Bell at his website, www.allthingsfulfilled.com. William is married and is self employed. He enjoys working from home, reading, writing, public speaking, teaching, coaching, music, playing bass guitar, recording, natural foods, boxing, and inspiring children.